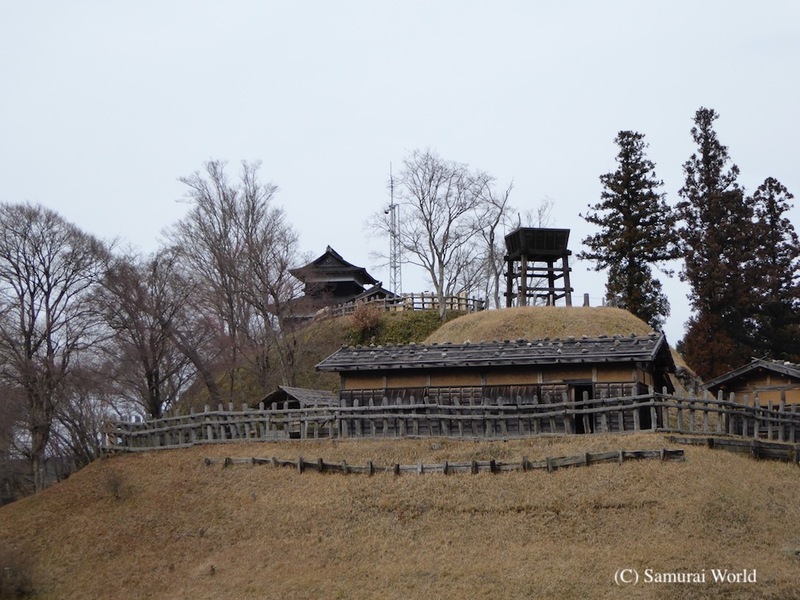 Asuke Castle in Aichi Prefecture was a small, but vitally important castle that saw a great deal of battle action. 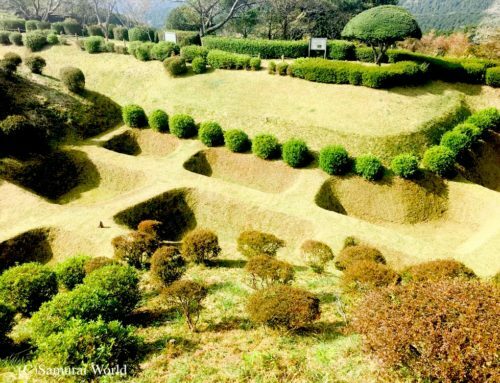 Asuke Castle is one of Japan’s first and best examples of an authentically reconstructed Yamashirotype castle of the Sengoku period. Despite its small size, Asuke was witness to a number of battles. Located on a 301m high hill known as Mt Mayumi in western Mikawa, (now eastern Aichi Pref.) 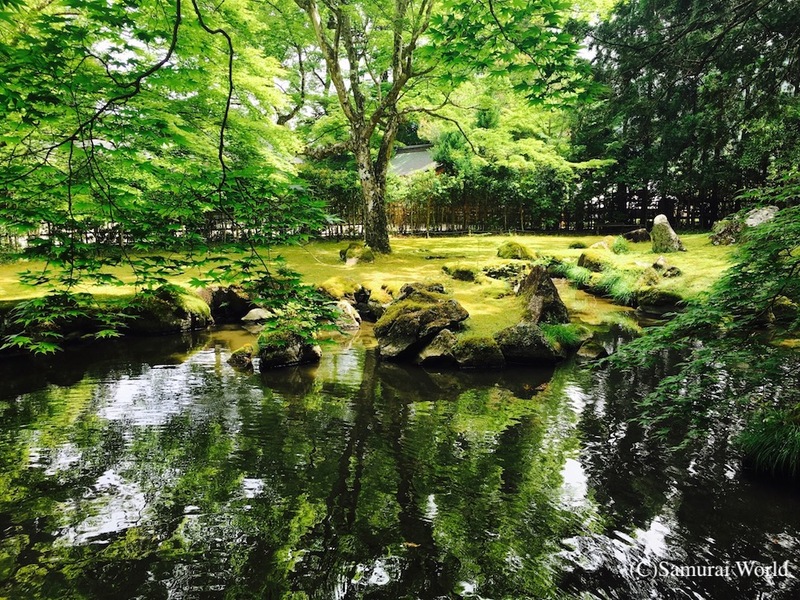 Asuke Castle was first established in the 15thCentury by the Suzuki Clan. In 1525, Matsudaira Kiyoyasu, grandfather of Tokugawa Ieyasu, attacked Asuke and in taking it, also absorbed the Suzuki samurai into the Matsudaira clan. 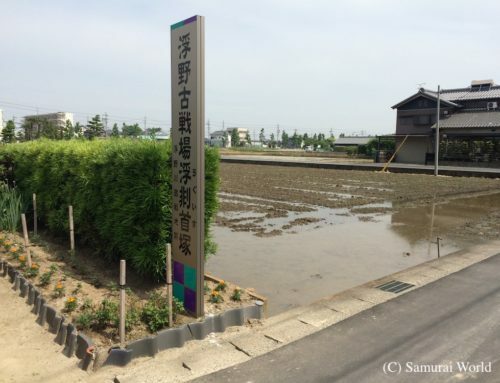 29 years later the Suzuki clan were forced to abandon their alliance with the Matsudaira when the powerful Imagawa clan attacked, and the Suzuki, unable to defend themselves, surrendered to the invaders. Two years later, in 1564 Tokugawa Ieyasu with a 3,000 strong army also attacked Asuke, winning it back, and regained the Suzuki clan as vassals once again. 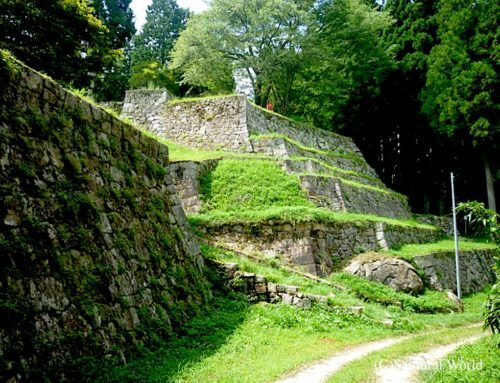 Having been attacked time and again, one can understand that Asuke Castle was an important castle strategically. 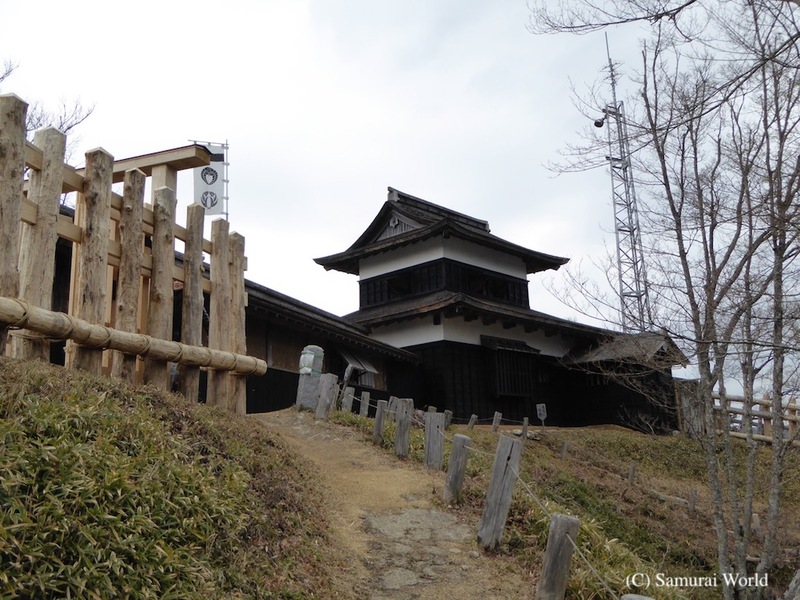 Asuke watched over the important Ina Highway between Owari Mikawa (eastern Aichi) and Shinano (Nagano Prefecture), also known as the “Salt Route”. 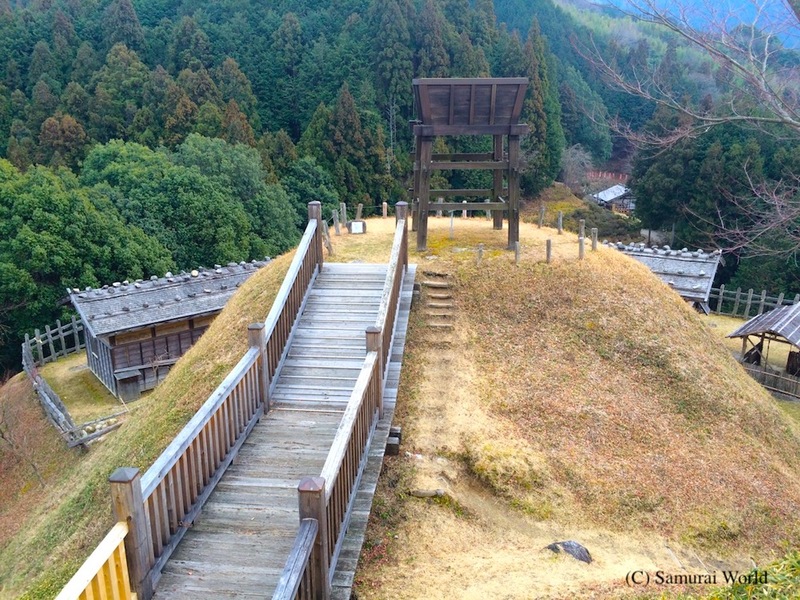 Asuke Castle is built on a steep, cliff-like hill, and ringed by simple log fences. 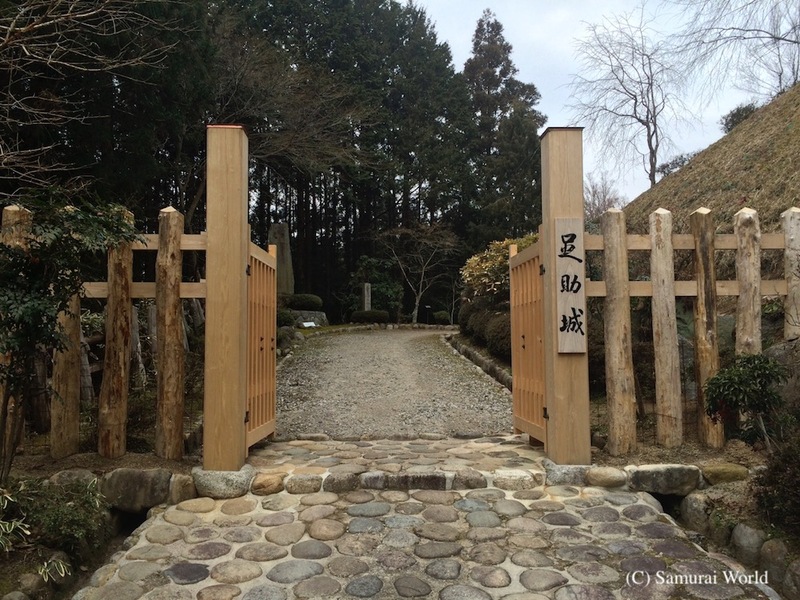 There are no ishigakistone walls. Instead, the earthen embankments would have had Rangui(乱杭) tree stumps and sharpened wooden stakes poking outwards, with trip ropes tied between them. Multi forked tree branches would have been laid out with the branches pointing down to hinder any attackers climbing the embankments. 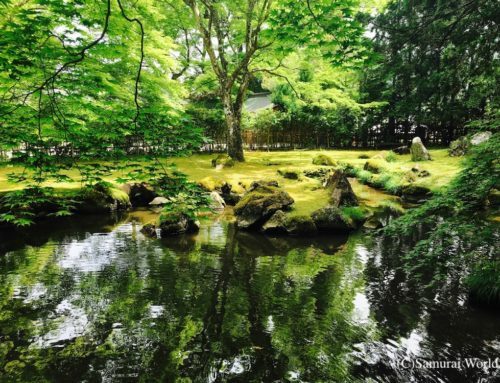 These trees were called Sakamogi(逆茂木) While these features have not been reproduced, nearly everything else about Asuke has! The simple watchtowers, rudimentary living quarters, basic kitchens, stables and defenses have all been authentically reproduced. The Minami-no-Maru, or main south baily is shaped like an open fan. Here stones, charcoal and a clay oven was unearthed, showing that the area was originally occupied by kitchens and living quarters. 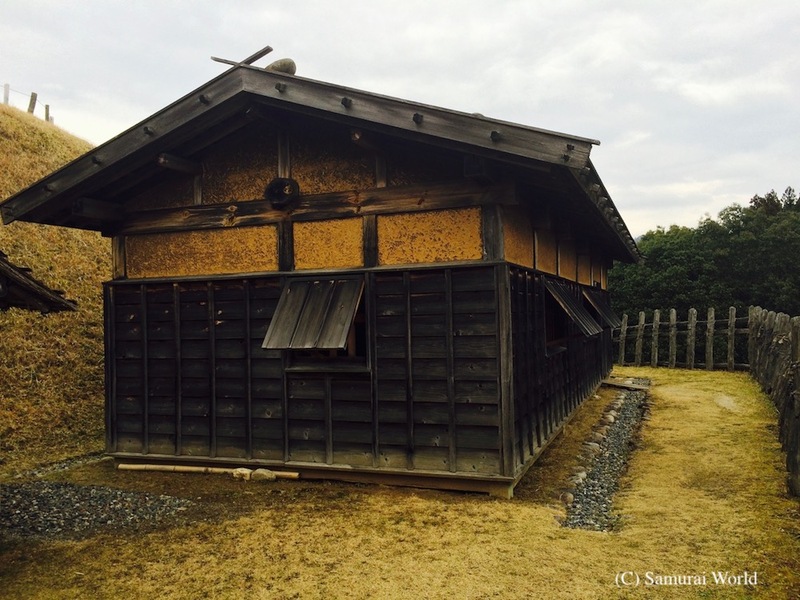 The Minami-no-Maru features a nagaya-type living quarters with irori fireplace inside and a simple kitchen area outside. 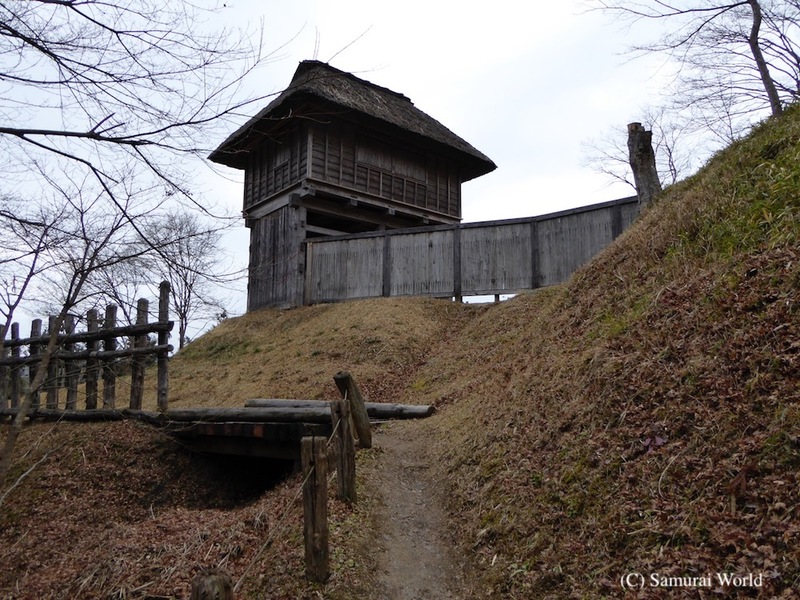 A small wooden bridge leads to a very simple box-atop-four pylons type open monomidailookout tower from which you can see the ruins of Kessoku Castle, a satellite fortress and part of the regional communication chain. Below the nagayais an interesting gate, with a lattice-like frame that lifts up like a dog flap from below to enter. It offers little to no protection to the defenders, however, the battle flags of any attackers would get caught up in the lattice-work on entry, a simple but brilliant design. 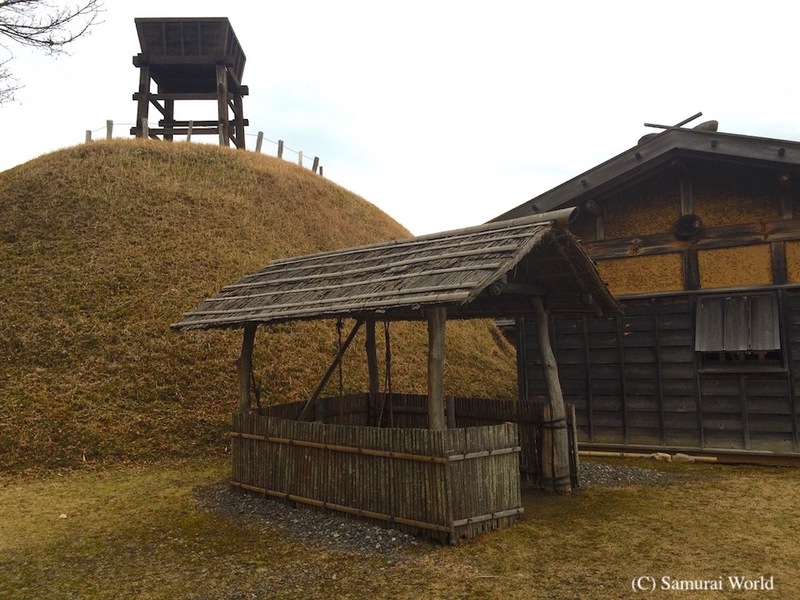 An imposing thatched roof watchtower stands over the Western enclosure. Made of wood, it is about 2.7m wide and 5.4m tall. 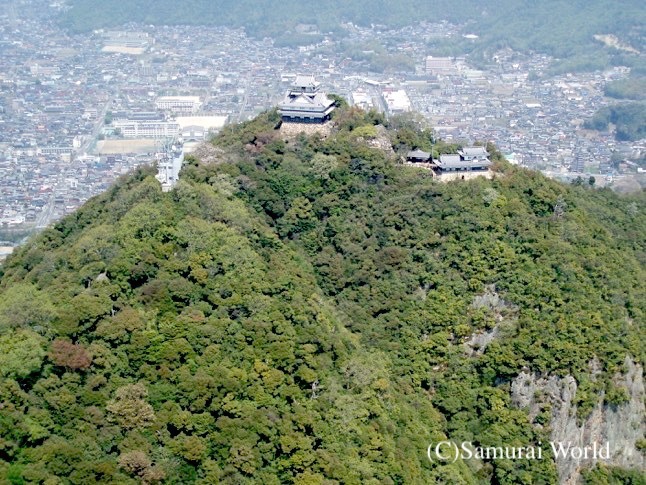 At the very top, and in the center is the Honmaru, the central baily with the keep-like Taka-Yagura, a simple two-story construction. There are no tiles, just wooden shingles for roofing. Black protective boarding surrounds the lower 2/3rds of both floors. Only the upper wall sections of this tower have been whitewashed. Connected to the Taka-Yagura is a section of narrow nagaya housing. 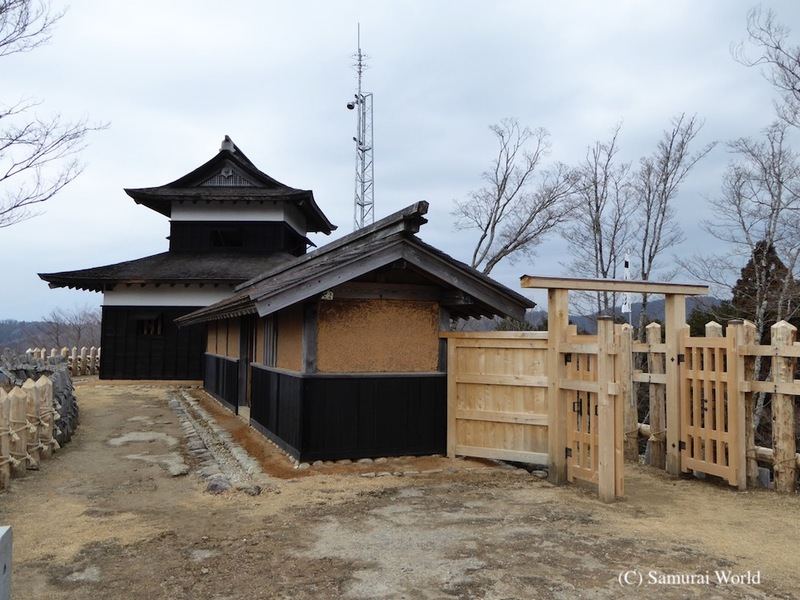 Like many structures of the period, it has simple mud faced walls, with wood panels along the bottom half. It is a very simple, but strong construction, doubling as a defensive structure. The samurai were always prepared for war. Stocking supplies of weapons, food and water was imperative. 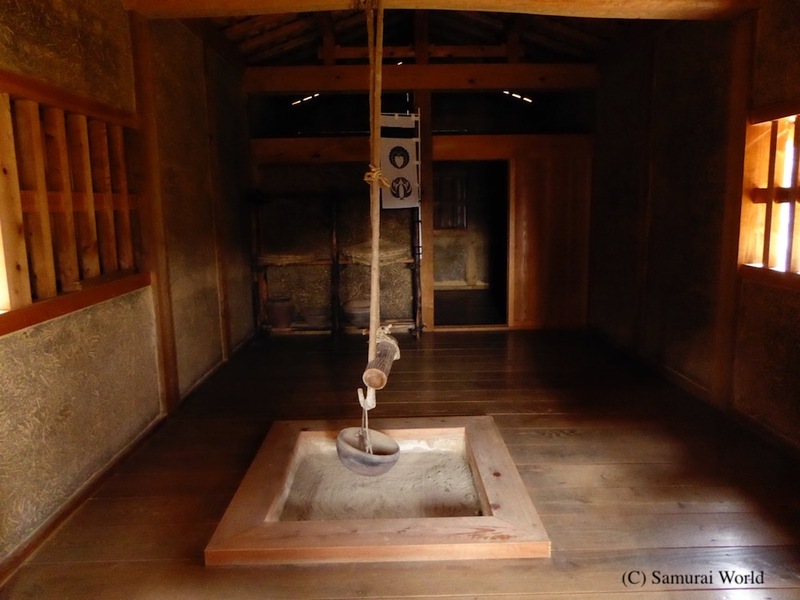 The floor of the Nagaya is a dirt floor that surprisingly contains much salt. The salt prevented mold from growing on the earthen floors, but was also handy in times of siege. Salt, being vitally important, could be dug up from the floor and used in times of need. Likewise the walls of the building were made in the traditional wattle and daub technique. 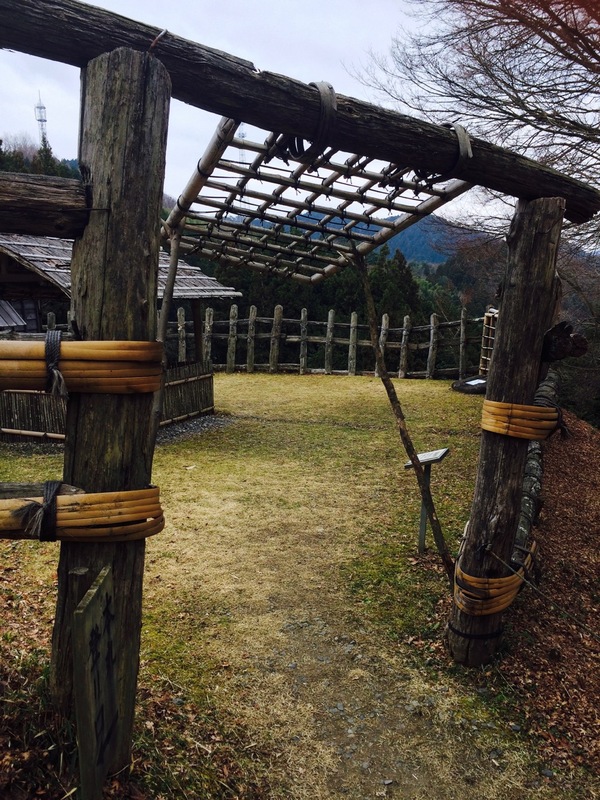 Mud was plastered over a lattice-work wall of wood and bamboo. The mud was further strengthened by adding dried taro potato stalks. In times of siege, the walls could be chipped open, the potato stalks removed, cleaned and soaked before being used in soups and as emergency rations. 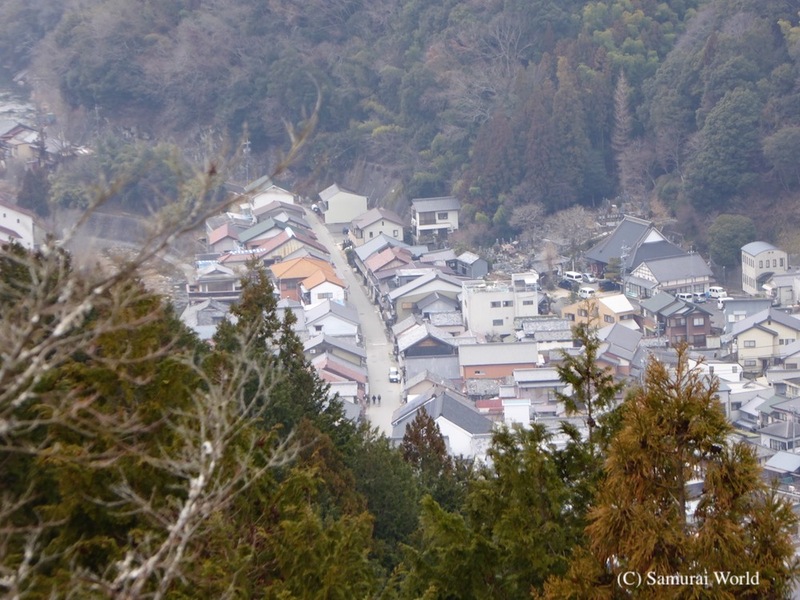 Below the castle is the town of Asuke, which flourished a post station located along the Chumakaido route, used to transport salt and other various goods. Even today, the area is very reminiscent of the olden days. 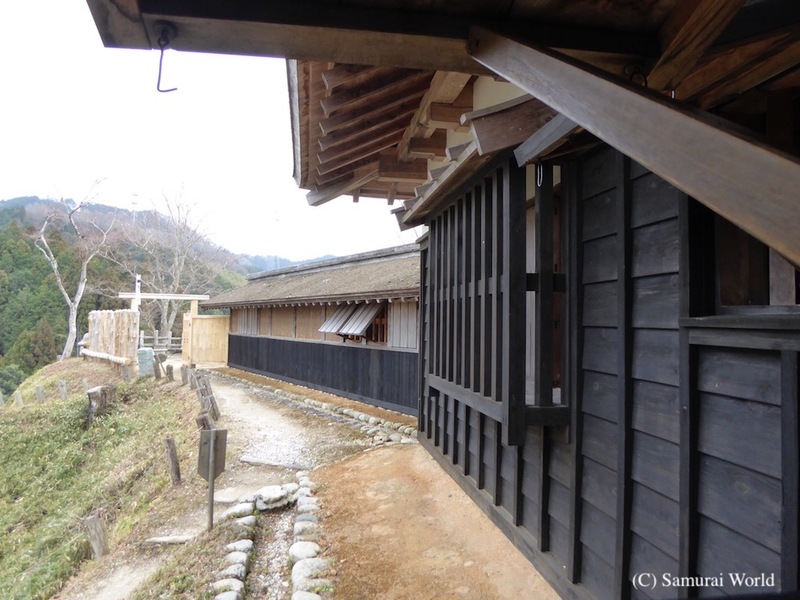 Asuke’s townscape is filled with remnants from the past including houses made of black boarded walls and warehouses with white earthen walls. Small, narrow streets attest to the towns defensive role. Closed：Thursdays (except for during April 29 to May 5 holidays and November ) and December 25 to January 5.